It was in January 1995 that John's curiosity in UFOs began, after a colleague telephoned him to tell him about a massive saucer-shaped object he and his officer partner had seen in the Stirchley area of Birmingham, and for the next two to three years John began to gather information of other sightings that had been witnessed on that same evening. It was also in 1995 that John first met Dawn. 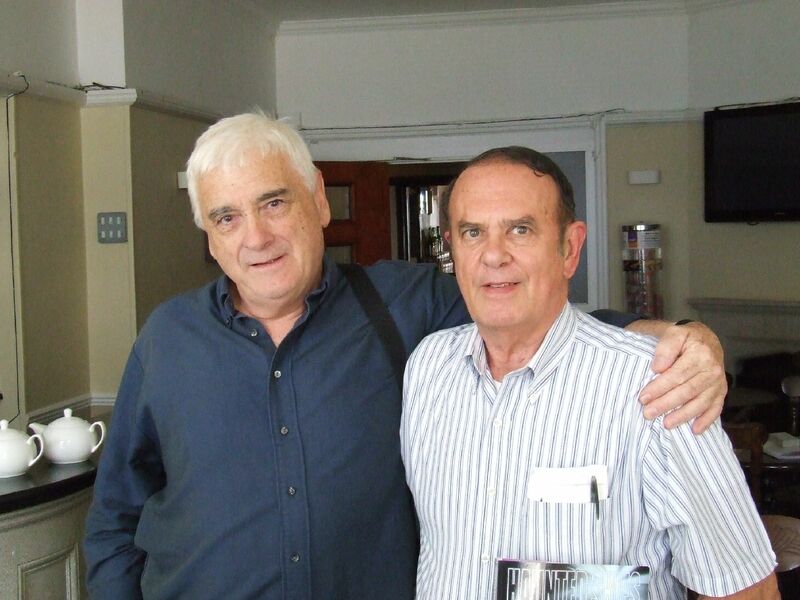 Dawn visited a college where John was giving a lecture and he propositioned her into helping him write a book about UFOs, which she thought was only going to last 12 months, but which has - in fact - taken 15 years! Dawn has met some very interesting people in assisting researching this book including pilots, police officers, and general members of the public who have been most helpful and have had a lot of fascinating accounts to recall. 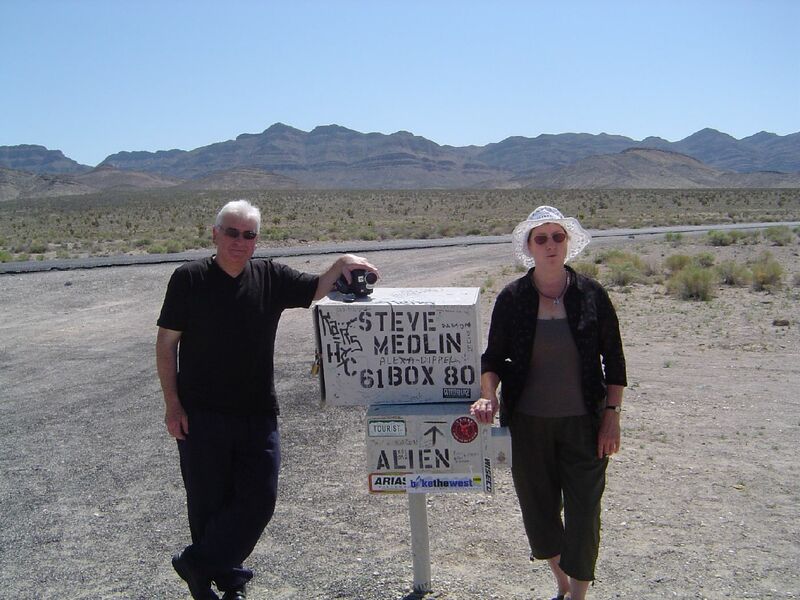 With John, Dawn has visited the length and breadth of the country collecting various UFO reports and has chronologically written these up in various volumes of Haunted Skies. It has been a very challenging task, but one which has helped to satisfy the curiosity of the general public. It has been a hobby which Dawn has found immensely enjoyable. Their research has seen them investigating crop circles, WWII foo fighters, strange lights in the sky as well as on the ground, together with flying objects in the skies from Scotland to Cornwall, and they have built up a comprehensive and detailed log which spreads over several volumes. This is the complete talk given by Charles at the Woodbridge community hall on Saturday 11th July 2015. John Hanson is a retired CID Officer in the West Midlands Police and first became interested in the UFO subject in January 1995, after colleagues sighted a UFO hovering over some trees. This was the trigger for his curiosity; prior to that the very mention of UFOs and ‘flying saucers’ was impossible for him to accept as having any reality in the modern world. 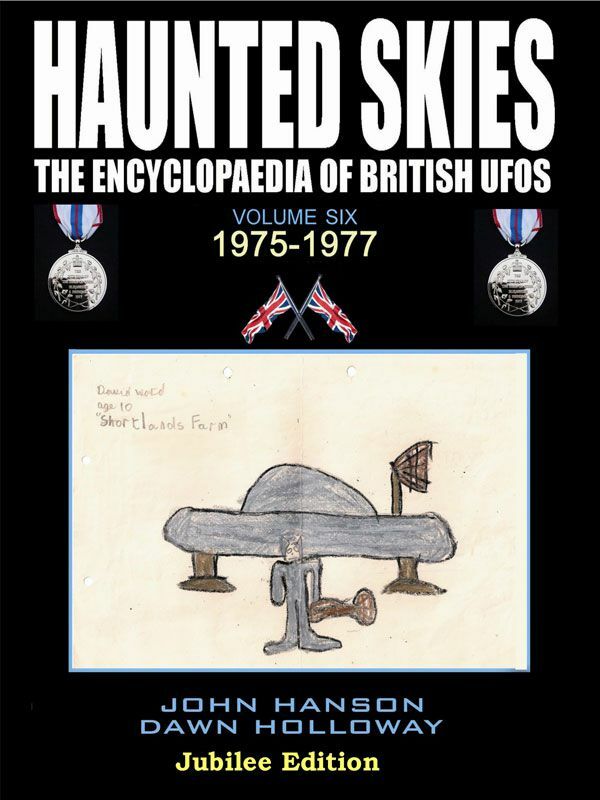 The publication of ten Volumes of Haunted Skies which painstakingly catalogue thousands of reports of UFO's/Close Encounter experiences by the public from 1940 onwards, is a project that John and his partner Dawn Holloway have been working on for many years. Their objective is to educate the public and therefore have published the books at their own expense since the inception of the project. 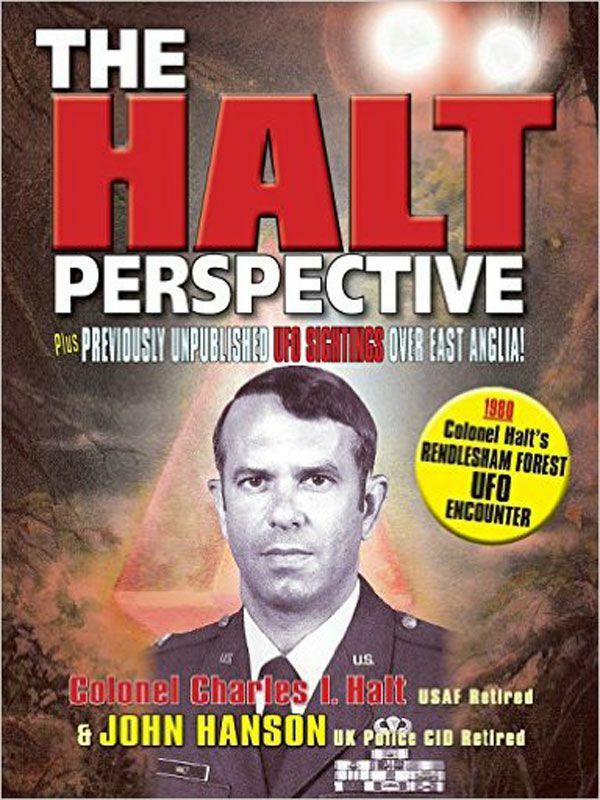 Notable cases covered in the ten published volumes to date include:The David Daniels case in which a man who alleged he was an alien actually met up with Admiral Lord Hill-Norton and Ralph Noyes, former head of the MOD. An investigation into the Rendlesham Forest incident of December 1980, including amazing photographic anomalies from Rendelsham Forest itself. Reports from members of the public both in the UK and USA, relating to motorists being followed by UFOs, some of whom allege they have been abducted and subsequently suffered some traumatic experiences, both physical and psychological. A precise and accurate presentation of one of the world's most famous UFO landings and the man behind it all. 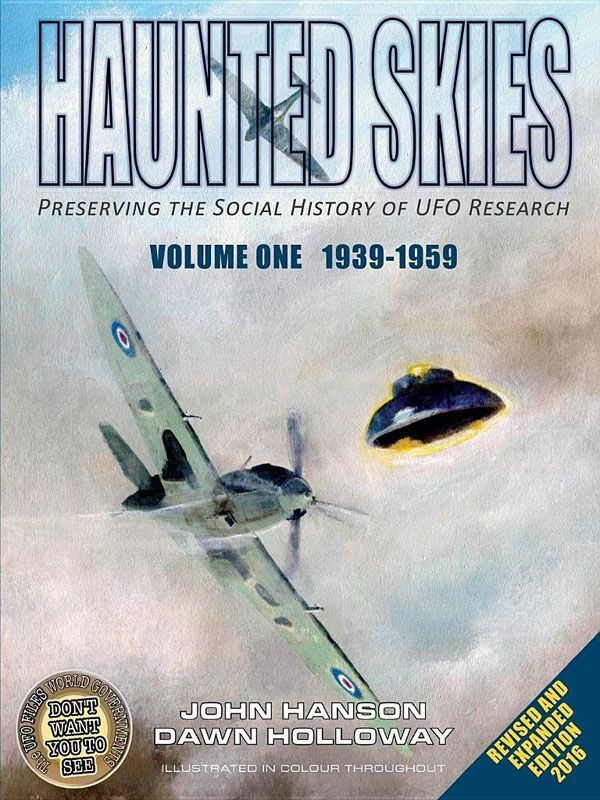 This revised volume deals with UFO reports from 1939-1959 and contains the original first two volumes. 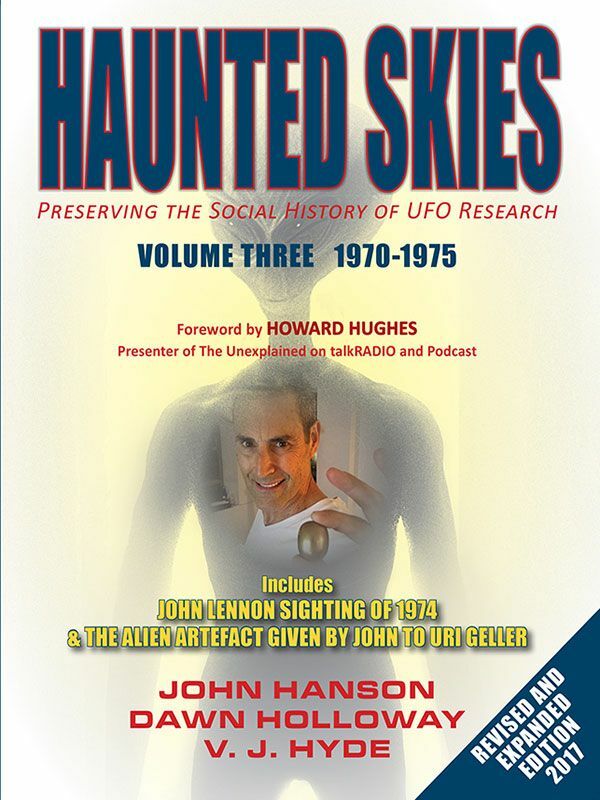 This volume deals with UFO reports from 1970-1975. 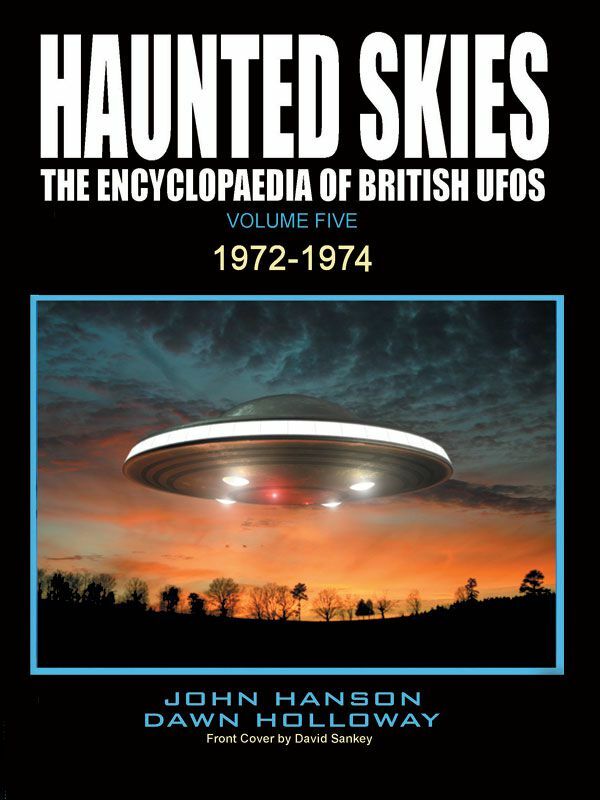 This volume deals with UFO reports from 1972-1975. 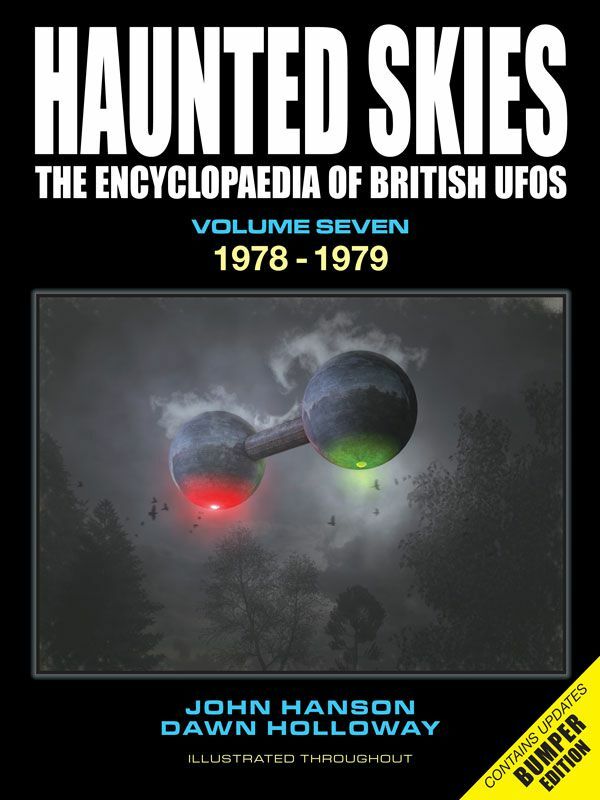 This volume deals with UFO reports from 1975-1977. 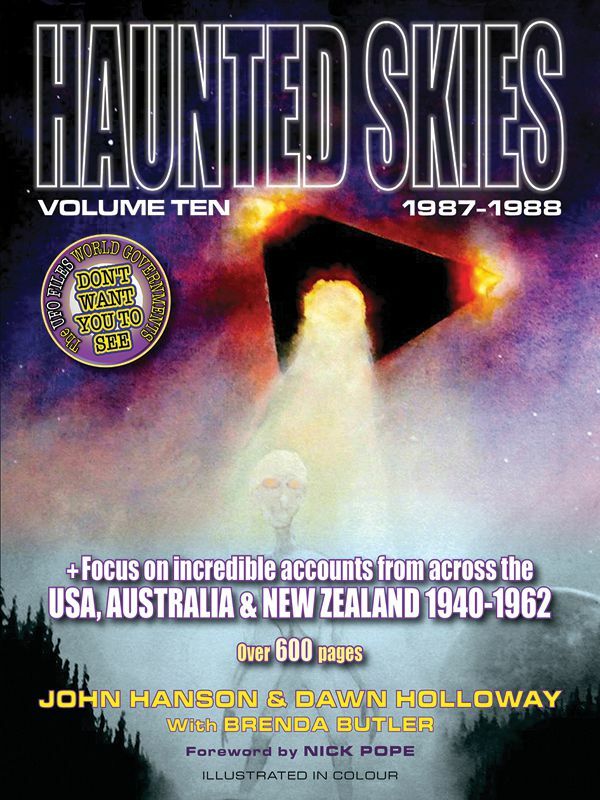 This Volume of Haunted Skies covers reports from 1978-1979. This Volume covers UFO reports from January to November 1980. 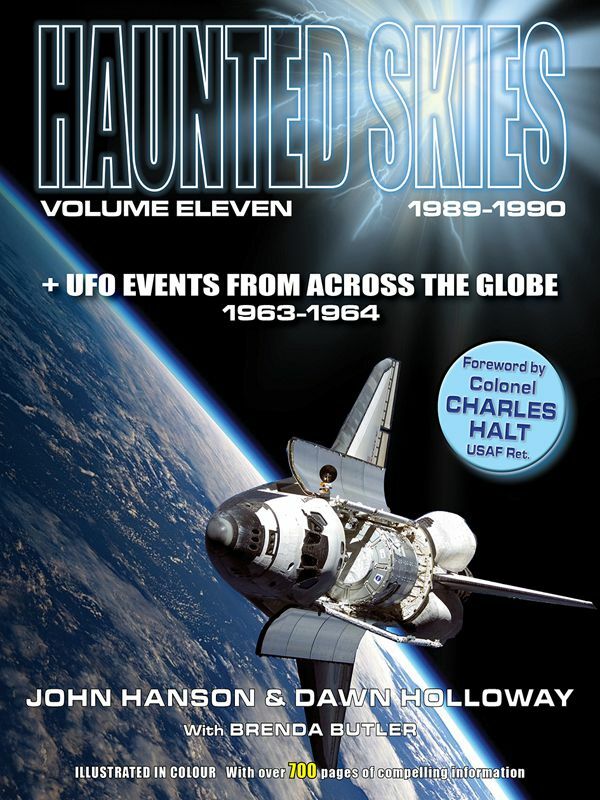 This volume deals with UFO reports from 1981-1986. This volume deals with USA & NZ UFO reports from 1940-1962. 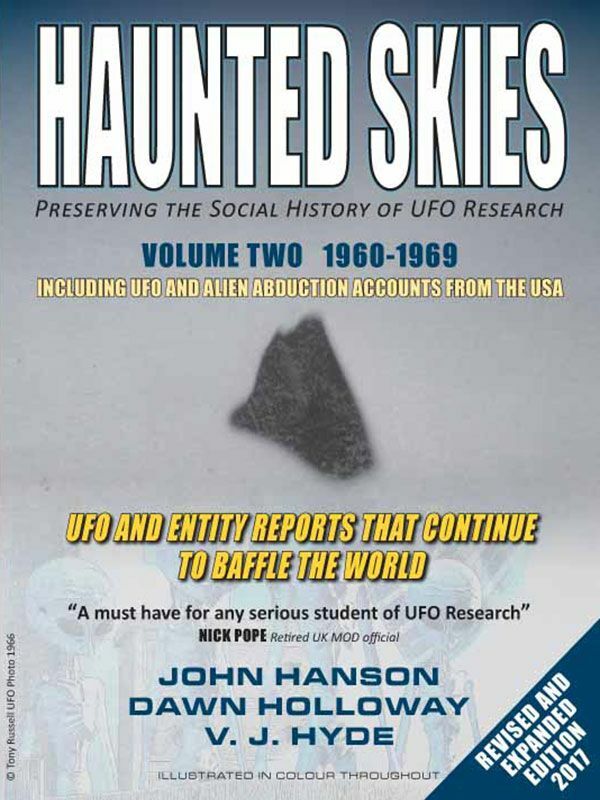 This volume deals with UFO reports from 1963-1964. 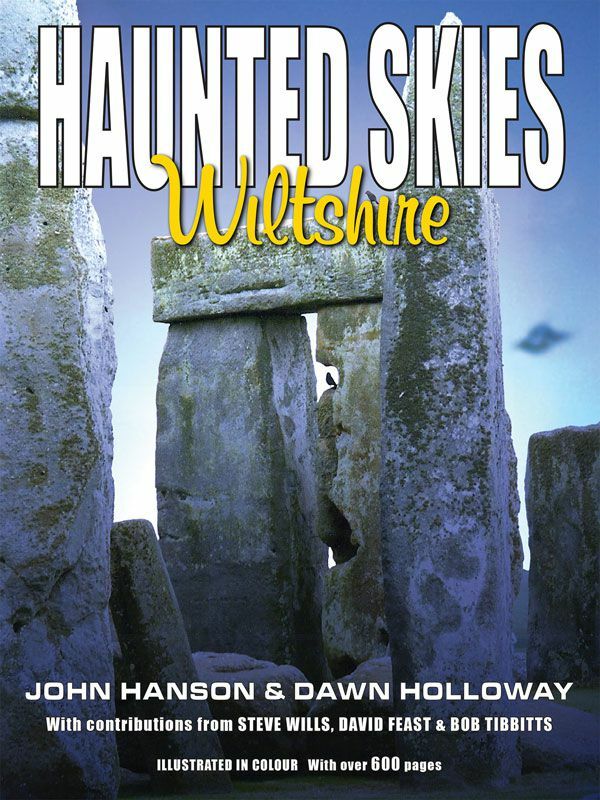 This volume deals with UFO reports from Wiltshire, UK.